Are You Ready for a Science Showdown? Imagine pitting your wits and knowledge in science against other challengers on stage in a thrilling interactive competition for science supremacy? That’s what happens when the Franklin Institute’s Traveling Show team brings its “Science Showdown” to your STEM outreach event. The Showdown competition goes like this: From the opening bell, contestants are asked to explain the science behind a series of science demonstrations covering such topics as air pressure, liquid nitrogen, rocketry, and combustion. Topics are chosen from a hat, and after explaining the selected topic, each participant is asked to perform a demonstration based on the topic. A referee keeps everything in line and administers fouls as necessary. The Showdown concludes when the entire audience is engaged in acting as judges to help determine who reigns supreme in the competition. 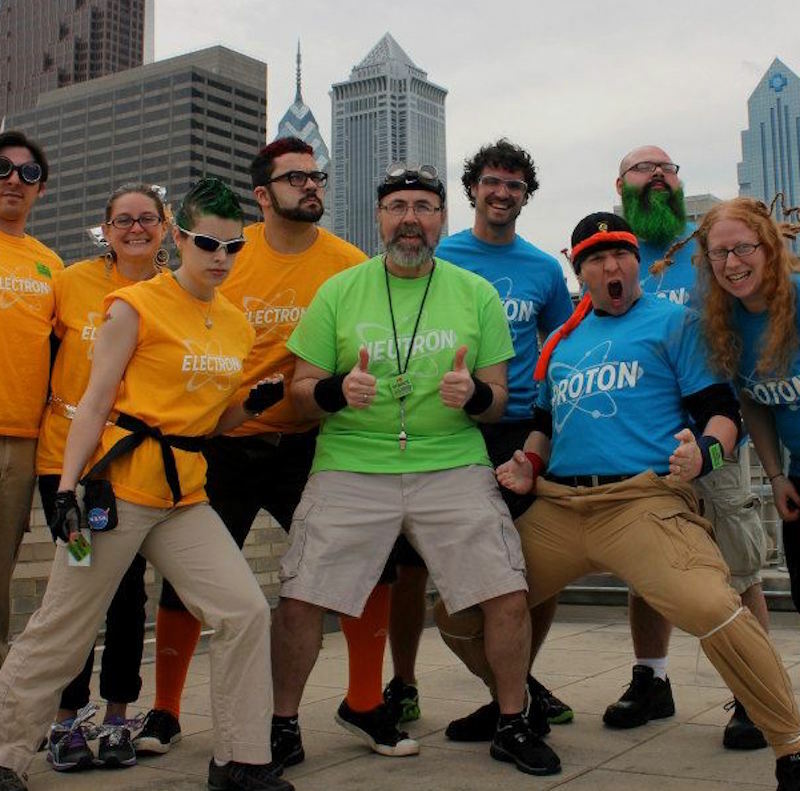 “Science Showdown, and our other Traveling Science Shows was created with one goal in mind: to generate an enthusiasm for science that spills over into elementary and middle school classrooms,” says Paul Taylor, Traveling Science Show and Community Outreach Manager at The Franklin Institute. In addition to K-12 schools, The Science Showdown and the rest of the repertoire of the Institute’s shows have been performed at such venues as The World Science Festival, The USA Science & Engineering Festival, The Singapore Science Festival, Science Days in Rust, Germany, and The China Science Festival in Beijing.